Weddings are a truly magical day to celebrate, no matter what time of year it is. So when Megan and Paul decided to seal the deal on January 18, 2016, Photography by TSM captured a beautiful winter wedding photo shoot at our Raleigh wedding venue, and even got featured in Southern Bride and Groom Magazine. Check out the spread here! Ready to book your dream wedding? 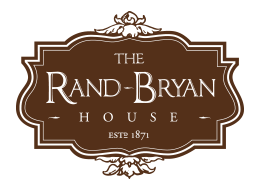 Schedule your tour of the Rand-Bryan House, historic Raleigh wedding venue today! On a beautiful Saturday afternoon in September, Kristin and Steve made their promises to love each other until death do they part. After a traditional Catholic ceremony, the wedding party and guests continued the celebration with a reception at The Rand-Bryan House. The reception was filled with love, laughter, and dancing. Check out the video below of Kristin and Steve’s big day. Thank you to Oak City Films for the video and Amy at Knots N’ Such Events and Design for planning and coordinating the day.